Massachusetts provides some exceptional—and scenic!—country marriage venues. Whether you envision an informal party in a rustic barn or farmhouse or a black-tie affair in a historic inn, you’ll find a wedding area below that fits the type of your occasion. Set high on a slope, the 100-year-old Barn at Gibbet Hill offers a lot of historic charm in a natural setting, through acres of grassland and rolling hills throughout. 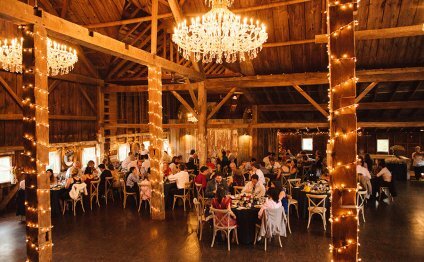 The beautifully renovated and restored barn, having its open-beamed ceiling, lumber plank wall space and floor, and antique brass chandeliers, may be the epitome of rustic beauty. It’s roomy sufficient for dining with a dance flooring, and there’s extra sitting on a couple of mezzanines. Outdoors, the covered deck is ideal for cocktails or a backyard service and has now sweeping views of the mountain, that includes grazing cattle. If you'd like a far more dazzling occasion, host it on palace ruins on top of Gibbet Hill, where vistas stretch from Groton to brand new Hampshire. Dating back on 1700s, this historical house on 600 acres of working farmland happens to be an inn and restaurant with multiple event areas. Although the site happens to be restored, the cozy, rustic taste of original building is maintained throughout in details like rough-hewn beams, a stacked stone wall, a brick fireplace, and period furnishings. To improve your nation wedding knowledge, arrive in a horse-drawn carriage. After that change vows within their classic gazebo and have your reception when you look at the fabulous Barn & Loft. Quintessential brand new The united kingdomt appeal is really what you’ll discover at this beautiful venue, situated off a peaceful country roadway at the base of Wachusett Mountain. The farm features 20 miles of manicured reasons in which ponds, home gardens and patio places tend to be surrounded by breathtaking vistas. A white farmhouse and a spacious barn with broad plank floor and rustic ceiling beams complete the picture. Any moment of year is perfect for your party, whether you have got a summer reception under their particular sailcloth tent or an internal fireside service in cold weather. Another plus: Guests dine on cuisine created from seasonal produce grown when you look at the farm’s own natural yard. This amazing home is an idyllic realm of 175 miles overlooking Wenham Lake, with magical variations like a Tea House and European landscapes. Visitors enjoy views of this pond from the stone manor’s curved brick patio, in addition to adjacent Great garden is ideal for tented receptions. During cooler weather, you'll commemorate inside gracious manor itself. Seasonal menus feature farm-to-table food centered on fresh, renewable and in your area sourced ingredients.